Wisdom teeth are your third set of molar teeth and for some reason many of us don’t have enough room in our mouths for them. Some say that this is due to changes in our diet over the last few centuries. The wisdom teeth often become trapped behind the second molar teeth, as there is not enough room for them to erupt into the mouth. They can cause pain and infection, and they can also damage the teeth in front of them. Sometimes it’s wise to have the wisdom teeth removed before they cause problems. At Perth Dental Implant Centre, our dentists can provide wisdom teeth removal right here in Perth. 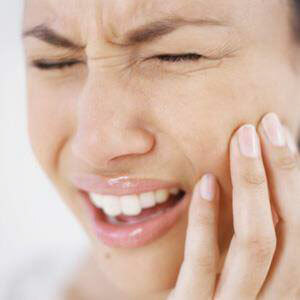 Our experienced dental surgeons can assess your mouth and advise you if it is best to have your wisdom teeth removed. If you opt to undergo wisdom teeth removal with us, we’ll ensure your procedure is as pain-free as it can possibly be, so you have a comfortable experience. We’ll work with you to see whether you can have your wisdom teeth removed in-chair under a local anaesthetic or sedation, or in hospital under a general anaesthetic. To book an appointment for a wisdom teeth removal consultation with Dr David Norcross at Perth Dental Implant Centre, contact us today.